One Great Password is Not Enough. When it comes to picking a secure password for a new online service, you’ve heard it all. Don’t use your dog’s name or sequential numbers, use a sufficiently long password so that it can’t easily be cracked. So you come up with a perfect, long, non-dictionary password. Great! Here is where the problems arise. Even if you do have a complex password, if you are logging into multiple secure locations with that same password, your data becomes incredibly vulnerable. On the other hand, if you try to come up with 30 unique and nuanced passwords, how can you possibly remember them without writing them down or storing them in an insecure place? Having just one password is not ideal, but neither is writing down all your passwords on a sticky note. I am letting you in on the secret that all your techie friends should know: get a password manager. Believe it or not, I have a different unique password for every online service. Each one is totally unique, such as “j3uT4r5Z3E6FYF” and “MK6pka9N4bGMwB” – and I have total peace of mind that my accounts cannot be hacked. My password manager also allows me to easily change a password when an application or site requires me to. When I read that a hacker has stolen 32 million user accounts from Twitter, I know my data is safe. This is because the hackers may have my Twitter info but they can’t use that to break into my Google account or my online banking account. Anytime major data hacks occur, users who have overlapping passwords are at risk. When you have a data manager, you can quickly open your Twitter account, change the password, and know your data is protected. What is a Password Manager, and How Does it Work? Password managers like LastPass, Apple’s Keychain, and KeePass are a simple piece of software that can be easily and quickly installed onto all of your devices. They require you to come up with one master password to access the system. Essentially, this is the last password you’ll ever need to memorise. Your password manager is your super secure vault. Whenever you go to a new website, or to the “change password screen” on an existing website, with one click it will let you generate a brand new super random password and will offer to remember it for you. Password managers are super smart, allowing you to easily create and remember a new password when your system promps you to change the password. Each password manager has slightly different features, so finding one that fits your habits and needs is essential. As data breaches become more common and hackers are becoming more sophisticated, having a password manager is more important than ever. The only down side is that installing a password manager comes with an initial time investment. As you begin the process of managing your passwords, you will need to go through your existing services and change your old passwords to long random ones. Like any new online tool, it can take a whole day to adjust to a whole new system for filling in your info. However, there are many benefits: it’s like having a life insurance policy for your online persona – it quickly becomes a massive stress lifted. Implementing a password manager will put you ahead of the 92% of the population who don’t follow best practices and are low hanging fruit for hackers. Be part of the elite 8% of people who use a strong unique password on every website. Don’t let “analysis paralysis” set in as you decide which password manager to use. You don’t want to spend so much time fretting about which lock to put on your front door that you don’t install a door at all. Just choose a password manager. I use LastPass, which is free and well respected. If your corporate IT department doesn’t currently allow you to install a password manager, find out why, because they make everyone more secure. Eliot is Marketing Manager at Vinciworks, a company that offers concise online compliance courses, including tailor made courses on cyber security and data protection. Eliot is Marketing Manager for VinciWorks, a provider of high-quality compliance courses and risk management systems for the legal, financial and business sectors. 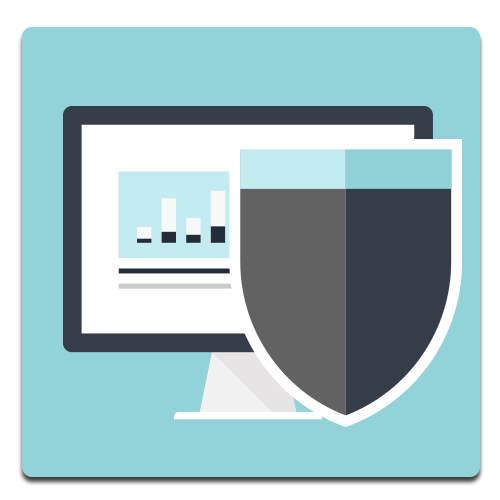 One of VinciWorks' courses is their Cyber Security course. As a techie who relies on several applications for his work, being able to protect his identity and store his passwords in a secure vault is vital.